Low Roth IRA fees are the key to success when planning your retirement savings plan. Because the less you pay someone else in fees, the more money you keep in your account. And the more money you keep in your account today, the more money you'll have in your account for retirement. I know this sounds like common sense, and it is. But with your Roth IRA it's especially important. Because the IRS enforces annual Roth IRA contribution limits on your account, and the Roth IRA fees you pay come out of your annual contribution. The more fees you're incurring, the less money you're investing for retirement. So regardless of the Roth IRA investment options you choose, the clearest path to success for your Roth IRA is keeping unnecessary costs as low as possible. Eliminating these tax costs significantly impacts the overall investment return of your Roth IRA relative to other retirement accounts as well as regular taxable brokerage accounts. So by simply investing in a Roth IRA, you're way ahead of the game! Despite these enormous tax advantages, you still need to be vigilant in keeping your costs down. Because under federal law, you can only contribute a maximum of between $5,000 and $6,000 per year to your Roth IRA. As such, you need make sure that every single dollar is working tax-free on your behalf for as long as possible. For instance, let's say you contribute $5,000 per year to your Roth IRA, but due to excessive trading in the stock market, you incur an extra $50 per year in unnecessary brokerage costs. $50 that would otherwise be working tax-free toward your retirement. One-percent per year deducted from your annual contribution may not sound like much, but over the course of 20 to 30 years, 1% of your annual contribution can add up to thousands... perhaps even tens of thousands of dollars! Because of the inherent danger of cost overruns, you want to be as vigilant as possible in keeping your IRA costs low. Keeping management fees low should be a top priority for anyone investing in mutual funds, index funds, exchange traded funds (ETFs), or any other managed portfolio of securities. Because some mutual funds charge front-end or back-end fees called "loads." These loads can take a large chunk of your investment principal all at once. And then, to top it off, some still charge above-average annual management fees or performance-based fees which eat away at your return. This is why I personally favor low-cost exchange traded funds (ETFs), often called "index" funds. It takes a smaller staff of professionals to mirror an index rather than try to beat one. So, it seems reasonable to expect lower management fees. If you're going to invest in managed funds, shop around and do your homework! 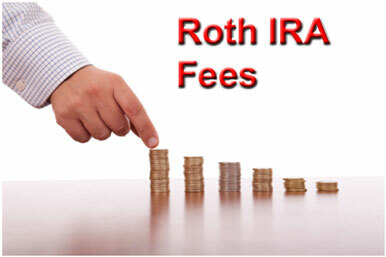 You need to keep your Roth IRA fees as low as possible. Remember, just 1% annually can make the difference between early retirement and several more years of work! And you'd prefer an early retirement, right? So keep a lid on those fund management fees. It's well-worth your time and energy. As Benjamin Franklin used to say, "A penny saved is a penny earned." It's the same way with your retirement savings. Keeping Roth IRA fees low results in more money for you later in life. In Trading Stocks In A Roth IRA, I point out that long-term investments in great businesses trading at great prices results in superior investment returns. Likewise, holding a single stock, index fund, or ETF for a long time instead of trading it over and over also results in superior investment returns. Because doing so significantly cuts down on trading costs. 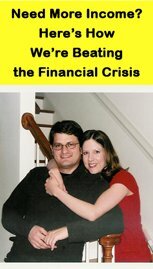 If you avoid the siren call of day-trading and maintain the emotional fortitude to avoid fear or panic selling, you realize significant cost savings by creating your own low fee Roth IRA. For instance, let's say you contribute $5,000 to your Roth IRA. You use it to purchase ten common stocks which you sell six months later and replace with ten alternative stocks. If your discount broker charges $6.95 per trade, you've just engaged in thirty (30) transactions (20 buy trades and 10 sell trades) for an annual trading cost of $208.50. So $208.50 of your $5,000 contribution just went to trading costs rather than your investment portfolio. That's a grand total of 4.17% of your contribution. Alternatively, let's say you invested your $5,000 contribution in five common stocks and held them for the year. At $6.95 per trade, you've only engaged in five (5) transactions for an annual trading cost of $34.75. That's a grand total of 0.695% of your contribution, or 3.475% less than the previous example. Over the course of twenty or thirty years, an extra 3.475% can add up to an enormous sum of money! Make sure that hard-earned money is working on your behalf rather than unnecessarily thrown away on Roth IRA fees and excessive trading costs. Opportunity cost is the value of a foregone alternative as the result of making another decision. In your Roth IRA, the most costly error usually comes about as a result of missed opportunities to maximize your annual contribution. Since each Roth IRA account holder can only contribute a certain amount on an annualized basis, you need to take full advantage of your Roth IRA's benefits by maximizing your contribution if possible. Because once the opportunity to make a Roth IRA contribution passes, it passes forever. It never comes back again. But you can't go back to 2004 or 2005 and contribute the balance of what you didn't contribute back then. Even if contributing the maximum to your Roth IRA is beyond your means, you should make every effort to stretch your budget and contribute every dollar possible. For instance, let's say you spend $50 per year on Starbucks coffee that you can otherwise contribute to your Roth IRA. But $50 invested at a 10% annual compounded rate of return grows into $2,262.96 after forty years! Keep an air tight lid on management fees, trading fees, and other incurred costs. Although these costs may seem like nickels and dimes when compared to your entire Roth IRA portfolio, those nickels and dimes add up to quite a bit of money in the long-term. And if there's something you've got, it's a long time. Right? Keep your Roth IRA fees as low as possible. When coupled with the naturally built-in tax advantages of a Roth IRA, low Roth IRA fees will assist you in generating above-average long-term investment returns. Why act like your Roth IRA operates under a different set of rules? The lower your expenses, the higher your profit. If you keep this maxim at the forefront of your mind, you'll keep your Roth IRA fees low, and you'll be very happy when your retirement years arrive.